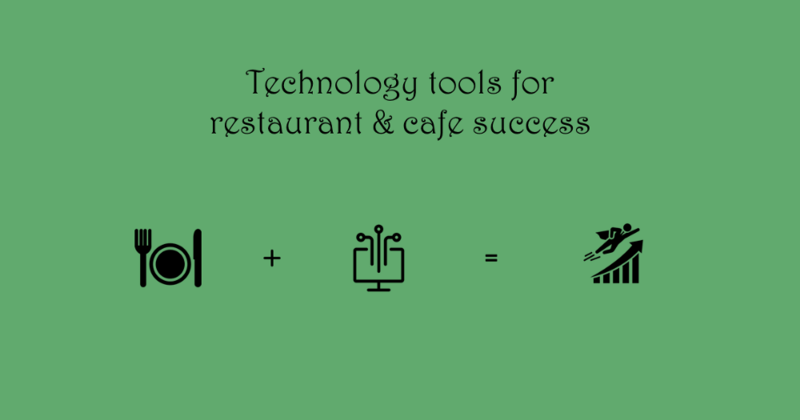 Technology tools for restaurant & cafe success. Enabling your restaurant or cafe with technology helps you to grow the business and run it efficiently. I have listed down the technologies I have personally used to help my business. Every channel is important, like the saying “Small drops make an ocean”. Embrace online ordering through partners like Zomato, Foodpanda, Swiggy etc. Even if the profits are lesser it helps you to reach new customers. I would not suggest having a separate website or app for midsize businesses. This could prove to be a costly affair. If you plan to have an online ordering website or a normal website. Just building the website makes no sense, if it is seen only by few people. Improving the SEO of the website is key to high visibility. This guide by google would be a good start to improve your SEO. Google keeps changing the parameters for its ranking so be updated. Through my experience I can say having relevant content in the website is very effective. If you are a big organization, you can take expert help. How many times have we asked a friend “Which is the best restaurant to eat?”. Now we have our online review sites to see which is a good restaurant. Restaurants with good reviews will keep getting customers. As a cafe or restaurant owner it is not enough to just wait for good reviews. Try to get these reviews fast. Incentivize customers to write a review about your store. Another key thing is taking action on bad reviews. Some of the top review websites are Google My Business, Zomato. Why do restaurants or cafes fail, because customers just don’t come back. In most cases we don’t know why the customer did not come back. In a food business mistakes are bound to happen. It is of utmost importance to take actions to offset these mistakes. Getting feedback from all customers directly is difficult. It is better to use tools to get and track the feedback from customers. It can be through an app right after the sale or sending an sms or email after the service is provided. SlickPOS provides a easy way to collect and monitor customer feedback through SMS. -Revenue comparison month over month. Letting your customers know what is new and about offers, keeps your brand fresh. There are different mediums that can be employed like SMS, email, Facebook, Pinterest, Twitter etc. You can have your own page on social media, also be active on food groups in your city. This is the least mentioned things that is a must for any business. It helps in finding fraud, slacking workers. This does not mean you have to be in front of the screen 24 hrs. Having a record of the history of events is key to solving a lot of problems. Apart from these there are automation tools that can improve the process in your business. These can be adopted on a case to case basis.